At AFP Global Logistics, we are dedicated to making your logistics as seamless and stress-free as possible. Our domestic shipping services in Washington DC will take the headaches out of your transportation logistics and will ensure that your goods make it to their final destination efficiently and affordably. 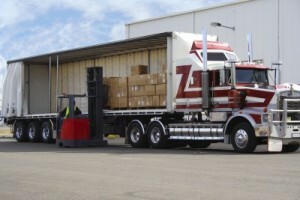 Whether you have a small load that’s on a strict schedule or your goods will take up an entire truck, we offer flexible services that will be tailored to your unique needs by our expert staff. Learn more about the benefits of our domestic shipping services in Washington, DC below. AFP Global Logistics offers a wide range of domestic shipping services in Washington DC. We offer a wide range of domestic shipping services, depending on your needs and your budget. Our shipping experts will work closely with you to determine the best way to transport your goods and we will be available to answer any and all questions you may have. Overnight. Our overnight delivery is guaranteed, 365 days a year including weekends and holidays. We also provide free online tracking and tracing. Second Day. For an efficient and economical option, our second day domestic shipping services in Washington, DC will guarantee that your goods are delivered within 2 days. Three Day. If you need dependable delivery services but time is not a pressing issue, our three day shipping services are reliable and affordable. Economy. If your budget is your top concern then our economy shipping option is the ideal solution. Your shipment will be delivered within 5 days. Same Day Services. If your goods need to travel a long distance in a short amount of time, you can trust our same day services to handle your requirements. Charter. We have access to charter services and we will arrange pickup and delivery for you. Intermodal Rail Service. We have many railroad contacts and we offer rail service that is safe and reliable. This entry was posted on Thursday, September 1st, 2016	at 7:59 am	and is filed under Business Basics	. You can follow any responses to this entry through the RSS 2.0	feed. Both comments and pings are currently closed.